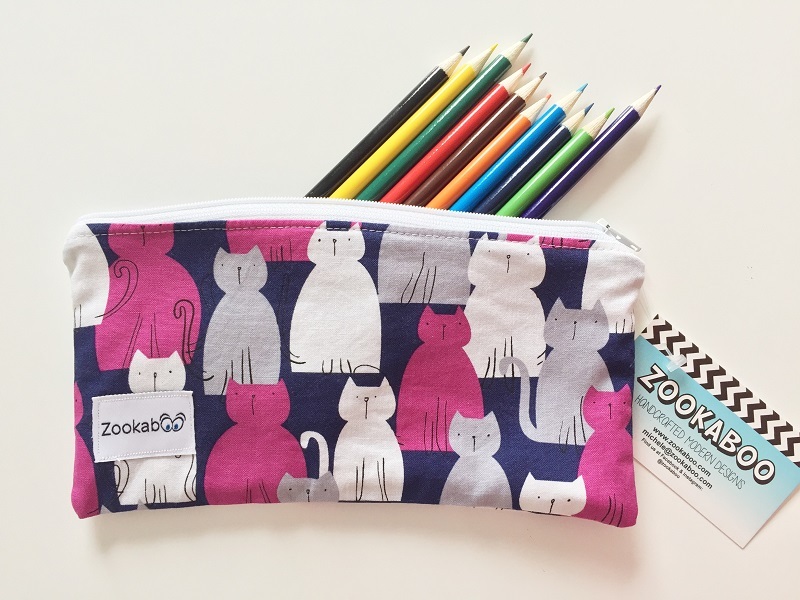 This cute handmade pencil case from Zookaboo includes colouring pencils! When not holding your pencils and pens, use this case to carry all your bits and bobs, lipsticks and even eyeglasses. In a fun and modern blue, purple and grey fabric.